A three vehicle head-on collision has caused long delays on the A605 at Oundle this afternoon, Monday August 8. Police and fire crews were called at 3.12pm and helped one woman from her vehicle. She was treated by ambulance crews for chest and leg injuries. 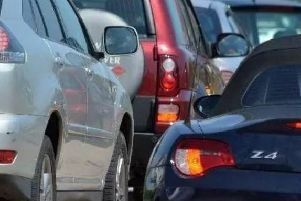 The crash has taken place near the Nene Valley Business Park outside the Fairline Yachts factory and there are long queues either side of the roundabout.